What makes a good chicken quesadilla? 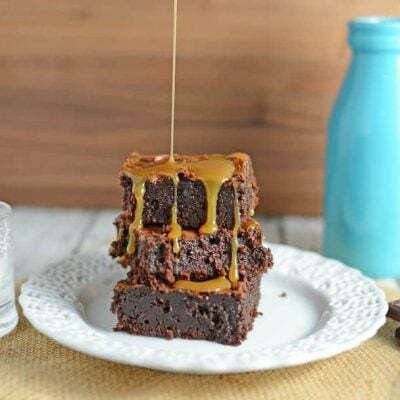 To me, I want a taste of every ingredient in each bite. 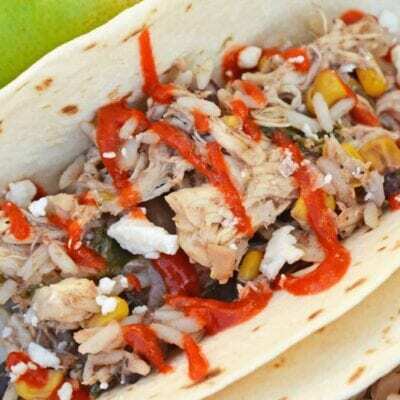 Tender chicken, bell peppers, onions, cheese, and a crispy tortilla shell. 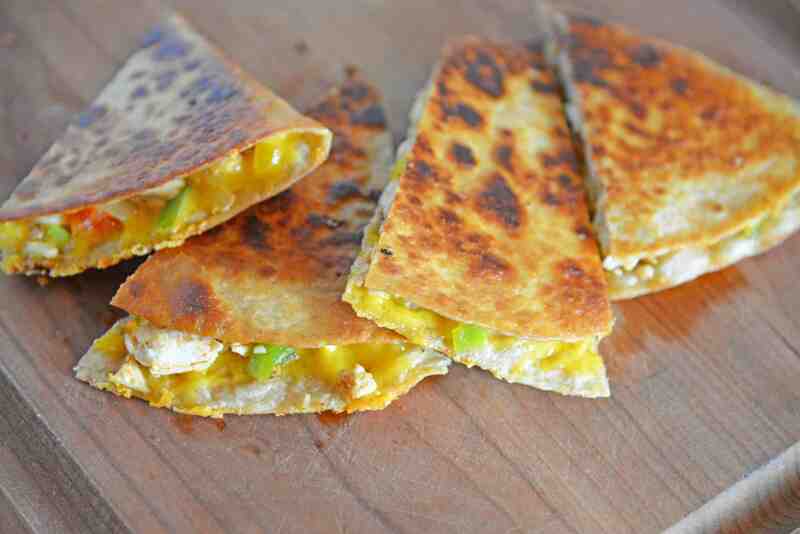 These chicken quesadillas will only take 30 minutes or less and are stuffed full of your favorite fillings! 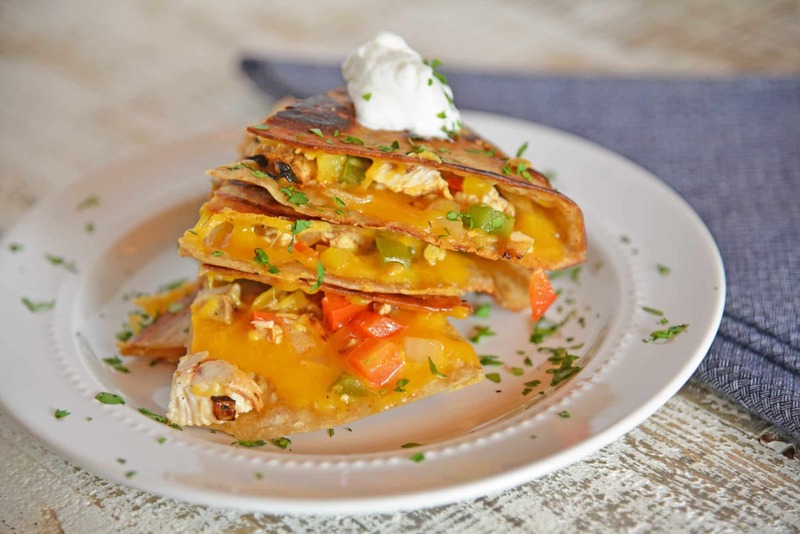 This easy Chicken Quesadillas Recipe is made with crispy tortillas, chopped vegetables and lots of cheese! 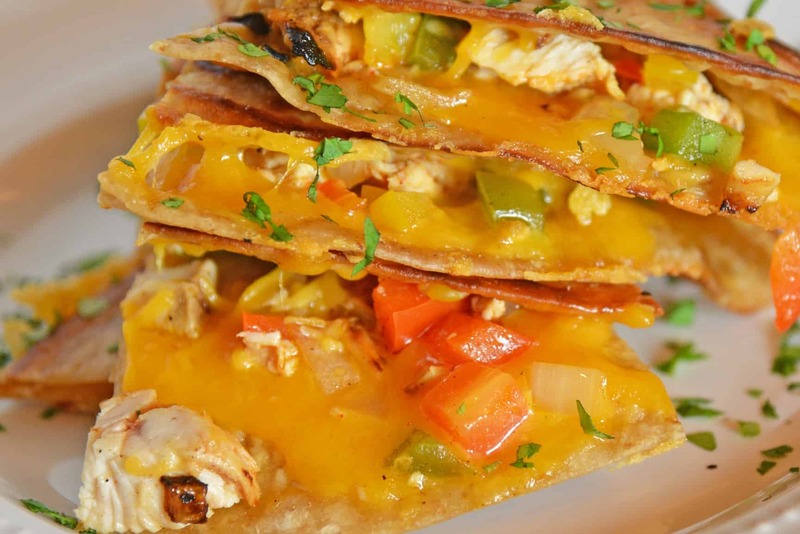 This Chicken Quesadillas Recipe shows you how to make chicken quesadillas the easy way! Does anyone else hear Napoleon Dynamite’s grandmother talking about darn quesadillas every single time they see or hear the word? Nope? Just me? Ok…. you just aren’t admitting it! I would consider myself a quesadilla connoisseur. My sister-in-law and I are always on the hunt for delicious new combinations, traditional and non-traditional. We tend to find more that are in need of improvement versus ones that are perfectly crafted. 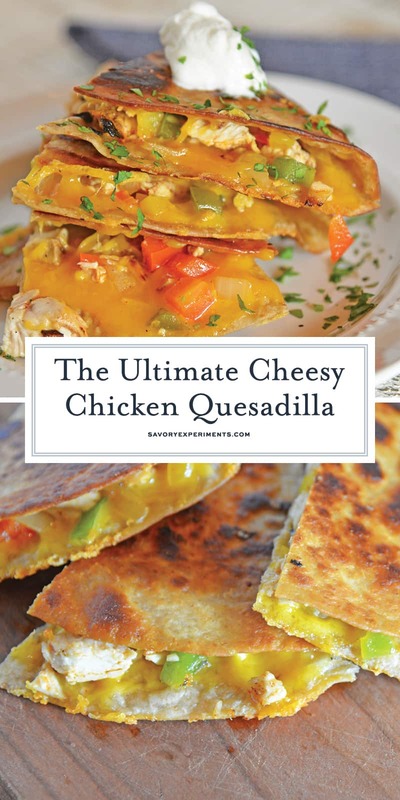 This is my version of the perfect chicken quesadillas recipe. The first key to a perfect quesadilla is a crispy outer shell. Without this key element all of the stuffing will easily fall out and you will have to eat a soggy quesadilla with a fork and knife. BOO! The second is the right amount of the right kind of cheese. 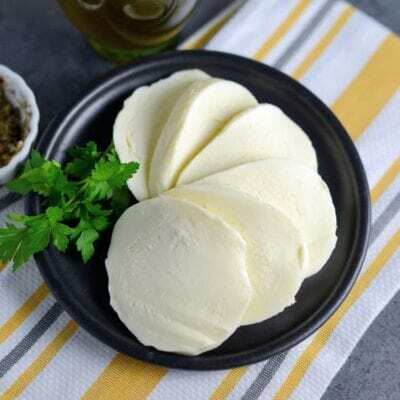 Cheese is the glue that holds a perfect chicken quesadilla together, without it your shells and stuffing won’t stick. Too much and it will be too heavy and it will…. you guessed it… fall apart. Always use REAL shredded cheese straight off the block. 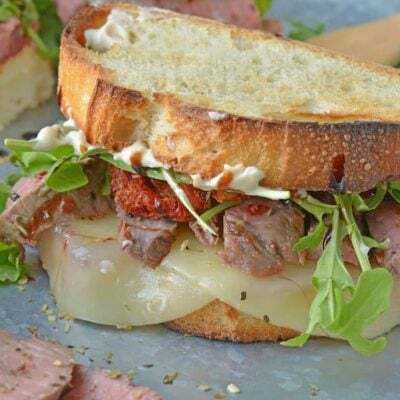 Cheddar, pepper jack, Monterey, whatever you wish! Pre-shredded cheese it tossed in flour to keep it from clumping, which makes it convenient, but have a funny texture and not melt as well. The only quesadilla I will NOT order is one that is made with nacho cheese. It is just unnatural for cheese to stay in liquid form and not resolidify. I know many who would disagree, but everyone is entitled to their own opinion, right? Lastly, you want the right ratio and size of stuffing. People make the mistake of going crazy trying to get the thickest quesadilla. I’m not saying go without these delicious items, I’m just saying let’s add them post-production and on top. The size of the filling is also paramount. All items need to be diced up really small. These have less chance of falling out and you get pieces of all in each bite! 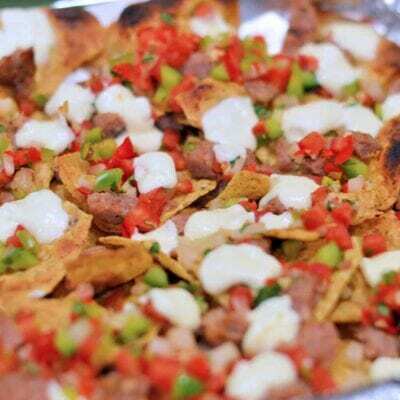 So choose your filling ingredients and side ingredients wisely. As you can see, I put way too much time into thinking about the perfect chicken quesadillas. 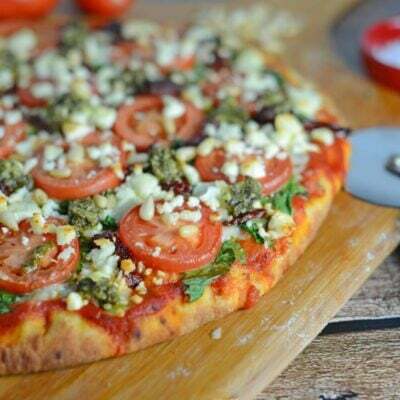 Writing this is only making me want to make them again for dinner tonight. 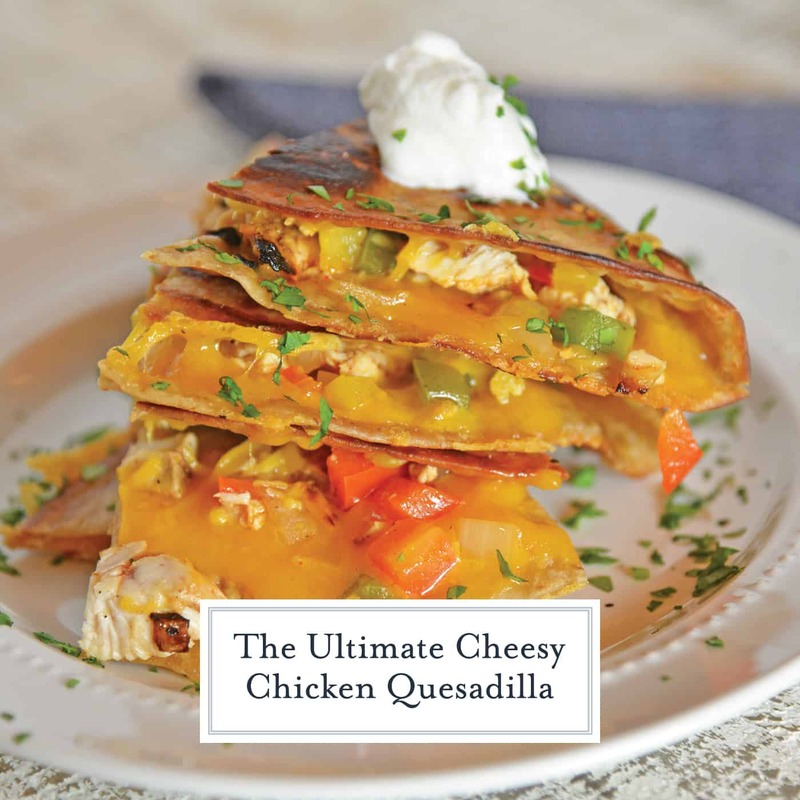 Serve this Chicken Quesadillas recipe with a side of guacamole, salsa, sour cream and pickled jalapeños and you are good to go! 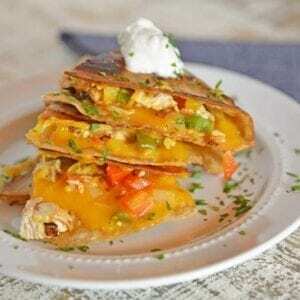 Easy chicken quesadilla recipe with crispy tortillas, chopped vegetables and lots of cheese! 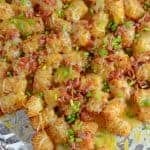 Come see my tips and tricks making this recipe THE BEST! 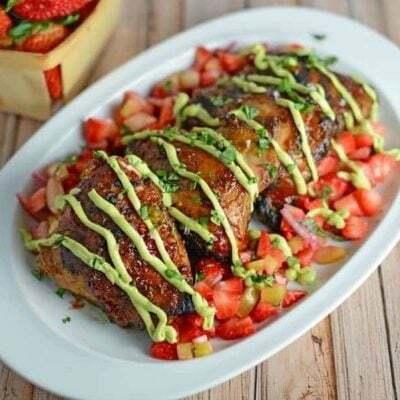 Dice chicken breast into small cubes. Spray a small frying pan with cooking spray. Cook chicken, combined with 1 teaspoon chili powder over medium heat. Continue to stir until fully cooked, approximately 5-7 minutes. 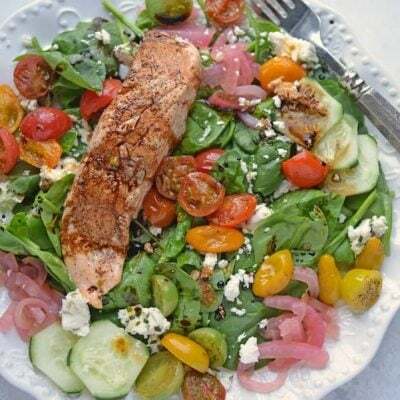 Place on a paper towel lined plate to absorb any remaining moisture. Dice cooked chicken pieces even finer than before. In same small frying pan sprayed with cooking spray combine bell pepper and onion. Cook until both are soft, approximately 5-7 minutes. Remove from heat and set aside in a small bowl. 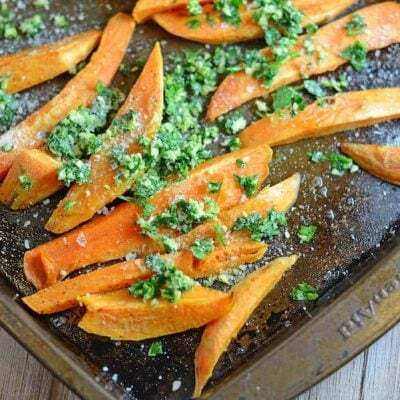 In a large frying pan heat 1 tablespoons oil. Add one large tortilla, top with 1/4 cup cheese, 1/2 of the chicken mixture and 1/2 of the onion and bell pepper mixture. Cover with an additional 1/4 cup of cheese and top with a second tortilla, press down. Continue to fry until the bottom of quesadilla is browned and crispy. 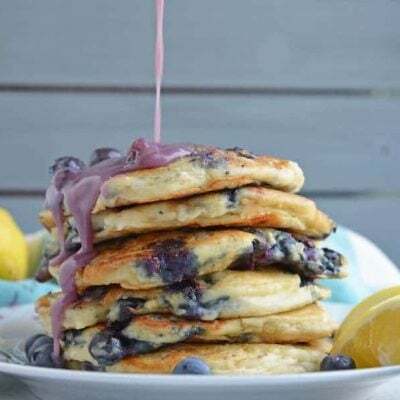 Using a large spatula and a fast hand, FLIP! Cook other side until browned and crispy. Remove to a cutting board and cut into quarters. 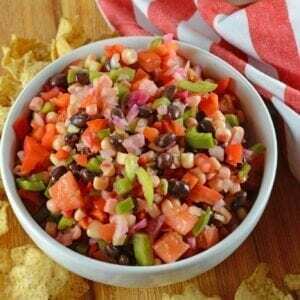 Serve with jalapenos, salsa, guacamole and sour cream. I love quesadillas! These sound so, so delicious!